Publix has a coupon for $3.00 off Huggies through the 15th (wed). You can print it from their online circular. Combine that with the $3.00 coupon from coupons.com and that makes a great deal. 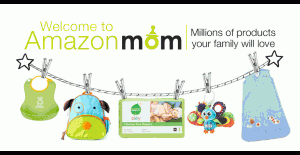 Join Amazon mom and you can get %30 off diapers and wipes everyday and free shipping not only on baby items but on other things through Amazon.com as well. Diapers are also on sale this week at CVS both Huggies & Pampers , Walgreens and Kroger so check out their sale ads as well. Don’t forget to tell your friends about the blog here and our Facebook page too! We will be doing a giveaway soon! I can’t wait since it will be my first 🙂 Enjoy the rest of your weekend! Have you done anything fun this weekend?